Managing debris in some ponds and lakes can be an ongoing maintenance issue. 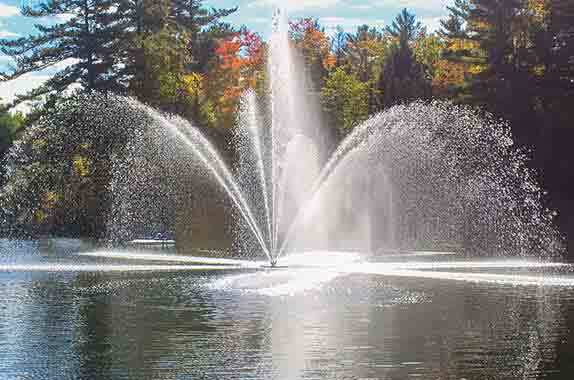 If the water body has excessive vegetation, then mechanical harvesting or chemical methods may be required in order for the fountain or aerator to work effectively. In most cases, if the debris is garbage, minor vegetation or organic matter then simply adding an intake screen will suffice. In some instances with string algae or smaller vegetation, adding a finer screen material which can be installed to the outside of intake screen will solve intake plugging issues.